Target has replaced the Casper mattress (which I call the traditional Casper) with the Casper Essential. I’m not sure if this is a vote of confidence in the new Casper Essential or if Target is just going for a less expensive Target option. Either way you can get one directly from Target to take advantage of the different sales that Target will have from time to time. It’s here, I ordered it 14 days ago and it arrived this evening. Typically, Casper products get here in 5-6 days so I’m not sure what went wrong, but you can see I did a lot of speculating below. Anyway, it’s unboxed, looks great and I can’t wait to sleep on it tonight! Casper Essential Unboxing video below. Tomorrow I’ll tell you about how my first night of sleep went. I just got this email from Casper customer support. 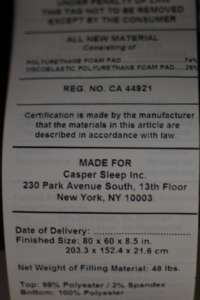 Since another review site got his mattress like 5 days ago, I’m sure that they have produced the Casper Essential. I’m not ready to start a big deal, but I’m betting that they end up canceling my order since I didn’t like the Casper Wave… Worst case scenario I get my money back and Casper looks really bad by dodging reviewers. Michael from Casper here – first and foremost, thank you for being an early adopter of our newest mattress design! As one of the first customers to experience the Casper Essential, we appreciate your patience as we get these initial orders out the door. While our team is working around the clock, we will need some extra time to complete production – you can expect your order to ship by the Friday, 10/20 at the latest. We take product launches very seriously, and we’ve been in constant communication with our facility to get ahead of any news regarding your shipment. We wanted to share the update as soon as we learned of it – and I sincerely apologize for the inconvenience. Our team is working hard and doing everything we can to ensure that you have a smoother experience with us moving forward. We hope that you enjoy restful nights on the Casper Essential once it’s made it home to you, and our customer experience team is here to assist every step of the way. Rest assured, once your order is on its way, we’ll send tracking information – so be sure to keep an eye out for one more email! Please don’t hesitate to reach out should you have any questions or concerns – we’re here to help! I wish Las Vegas had a line on this or a prop bet. I would bet heavily on Rana never gets a Casper Essential, since Casper is upset at her rating of the Casper Wave. Update, as you can see it’s here, too bad Vegas didn’t cash in on my foolishness! It’s been 14 days since the release and I know I’m an early adopter, because their email, above, says so! I bought the Essential the morning it came on the market. Typically, Casper sends me my purchases within 5-6 days, and I’m at 14 today. I’m not ready to scream about it but I’m getting close. I know its available and I know that another reviewer has had his for a week now. I checked my tracking code and it has shipped out of Ontario, CA so that doesn’t explain why a reviewer in Florida got one first. I initially thought that if the Casper Essential ships out of the East Coast then it would make sense that he would get his first, now this just feeds fuel to the fire that the delay was intentional. Tracking says I’m getting it today, so expect to see some pictures and video tonight! It is designed at the lower end of the bed in a box market with a queen sized price of $600 (well plus tax for some of us). At this price, I’m guessing that they are going to go after students and people who are just starting to leave the nest. More importantly, I’m willing to bet that they are going to take this to the European market to compete against the UK’s Eve mattress which is at a similar price point. Casper is not currently selling the Casper Wave nor the Casper Essential in Europe. With the lawsuit surrounding the Casper Wave, I don’t expect it to show up in the European marketplace. Tuft & Needle has been experimenting with their pricing, up in June and lower since then. 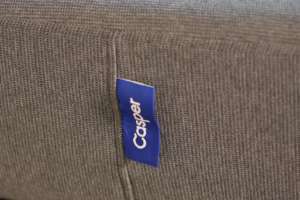 I’m curious to see if Casper’s pricing strategy for the Casper Essential was designed to compete directly against Tuft & Needle. On the Casper site the Essential is labeled as our most cost-efficient mattress. It just came out, but I’m a little shocked that it’s not currently available in Target. I’m even more shocked that they didn’t release this in time for the back to school shopping season. I’m sure if they had a redo, Casper would have released the Essential a couple of months ago when the released the Wave. I’m going to buy one today, so if they ship it out as fast as the other mattresses I have purchased from Casper, then I should have it by 10/11/17. Please check back as I’ll start reviewing it soon. Who should buy the Casper Essential? This is the economical/budget friendly way to experience Casper products. At $600 it is $350 less than the Traditional Casper, and 1/3 the price of the wave. It’s a good choice for side and back sleepers who aren’t keen on paying the extra $350 for the Traditional Casper. As a consumer (yes I bought this) and a side sleeper, the traditional Casper would be my choice, were I asked to pick my favorite Casper Mattress. It has a nice looking cover which is removable, and includes the iconic Casper tag on both sides. When I unzipped the cover I noticed a little bump on the right side of the mattress, I touched it and just figured that it was the fire sock just kind of knotted up. I then cut through the fire sock (voiding my warranty, so don’t try that at home). I started at the base of the bed and then worked my way down the side and as I pulled the sock off of the middle I saw a quarter sized chuck of the top yellow foam on top of the mattress. Side benefit to this is I can use it as stuffing for a pillow. 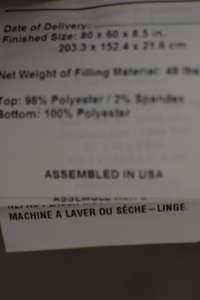 I kind of laughed this off, I mean I guess I could have damaged it while sleeping on it, or unboxing it. Although I watched my unboxing video and I didn’t see that I got it stuck on anything or cut it with my opener. I can’t imagine that Casper shipped it to me damaged, so I’m willing to chalk it up to the shipping gods. 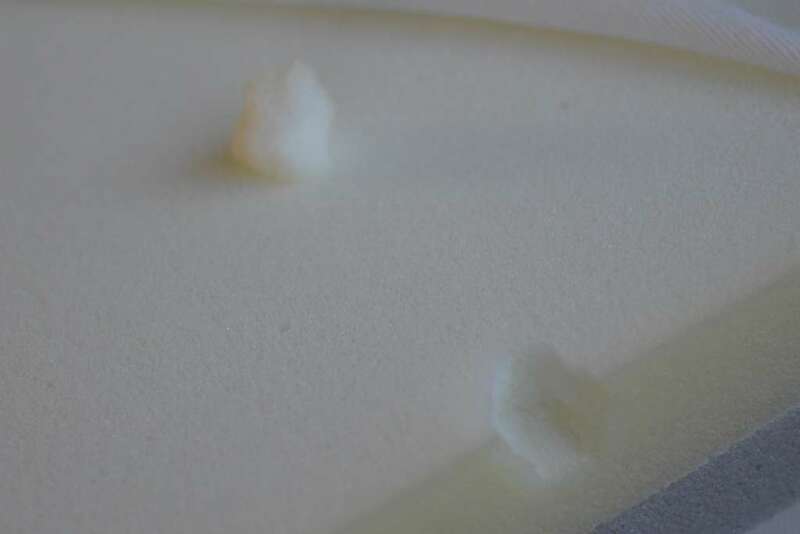 Here’s the thing, I don’t cut into every mattress, so it’s actually possible that many of the mattresses I have tested have had similar issues and I just haven’t noticed. I’m partially thinking I can give Casper a pass on this, but what about when I unboxed my Casper Pillow at the beginning of October and it had a stain on it??? I mean two strange strikes in a month, it is time to consider quality control right? Here is where it gets worse, and by this point I was laughing so hard about this subject that I didn’t even bother to take pictures or video of it. There was a chunk missing in the back of the mattress that was about the size of say a half dollar (you know larger than a quarter but rarely in circulation). I was just over it, and you will see that the quality of materials and durability rating had to take a hit. Some would argue it should be an even lower score, but I’m serious about the fact that it is just something that consumers just wouldn’t notice. I mean they were contained within the firesock underneath the cover. The only way to discover this is by really inspecting your mattress. If it wasn’t compounded by the Casper pillow stain, I probably wouldn’t have even pointed it out here or in the review video. It comes all compressed in plastic wrapping. They brought back their iconic Casper tag, and it’s on both sides of the mattress. I felt like it was a mistake to not include their branded tag on the Casper Wave. The wave has Casper stitched into the cover, and it’s hard to see. It is so much easier to pull the trigger and buy a $600 mattress than an $1,850 one like the Casper Wave. Seriously it’s 3 Essentials for every Wave. Did you notice the spot on my pillow? I’m not sure who I should be mad at Casper or Target. I bought it at Target, but isn’t it packaged by Casper? What’s inside the Essential from Casper? The Casper Essential consists of 3 layers and is only 8.5″ vs. the 10″ of the Casper and 11.5″ of the Casper Wave. 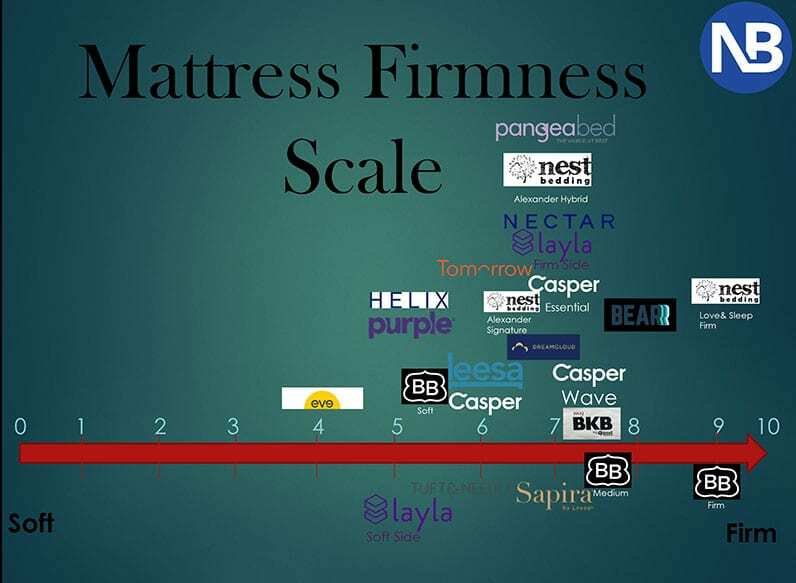 Which Casper Mattress is right for you? Before testing it, I’m going to wager that it comes in around a 4-5 on the firmness scale. My guess is that it will be less firm than the Casper, which is less firm than the Casper Wave. I was wrong the Essential is more firm than the traditional Casper, yet less firm than the Wave. 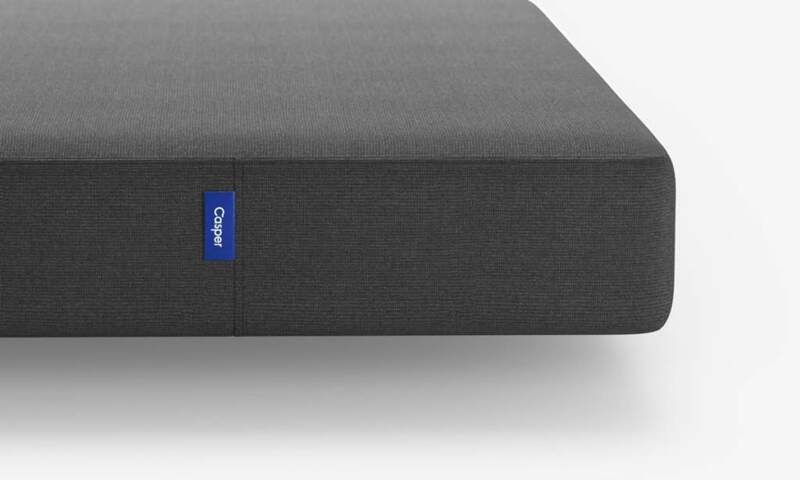 The casper essential is their most cost-efficent mattress with a Queen size price of only $600.